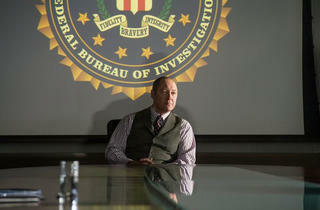 James Spader chews scenery deliciously in NBC's new drama series The Blacklist. Much like Fox's Sleepy Hollow, NBC's The Blacklist succeeds where other new fall dramas fail by setting its bar for success very low. With a plot that borrows shamelessly from The Silence of the Lambs, this new series offers James Spader a weekly opportunity to show just how eccentric he can be. It proves to be a lot of fun to watch. Raymond "Red" Reddington (Spader) is a career criminal on the FBI's top ten most wanted list and The Blacklist begins with him strolling into the FBI headquarters in D.C. and surrendering himself. Red has an agenda. He is willing to help the FBI track down all kinds of bad guys, starting with a Serbian terrorist who kidnaps the daughter of an American General, as long as the FBI gives him whatever he wants. His most unique and puzzling demand is that he work with FBI Agent Elizabeth Keen (Megan Boon). Keen is a profiler that's been working in the bureau for four years, but her first day working in D.C. just happens the same day that Red strolled in and put his hands in the air. She has a dark past that Red is all to aware of, including a father who was a criminal and abandoned her and her mother, much like Red did his wife and daughter. Keen is clearly a gifted agent and Red's interest in her and the amount of information he has about her life is a mystery that the show promises to unravel. The relationship between Red and Keen is pure Hannibal Lecter and Clarice Starling, including bits where he offers his help provided that she give personal information about her. 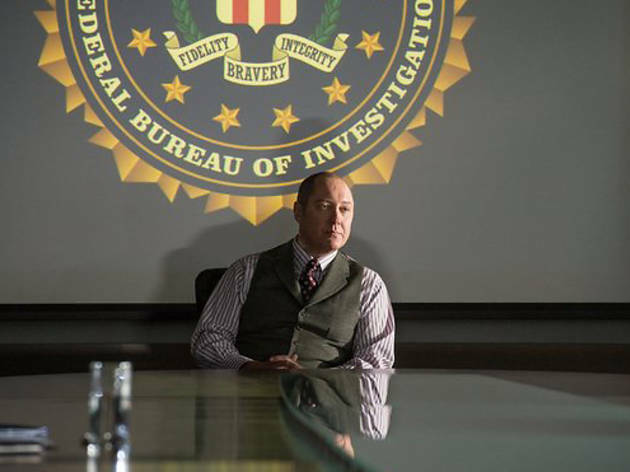 The show uses this formula well, which is to say, that it gives Spader ample opportunity to twirl his invisible mustache and prove how much smarter he than the rest of the FBI. The rest of the cast, which includes Harry Lennix and Diego Klattenhoff as fellow FBI agents and Ryan Eggold as Keen's husband, do little but look like fools in the presence of the show's core duo. The pilot, directed by Joe Carnahan (The Grey), looks fairly impressive, including an intense action sequence and some nice use of downtown D.C. The Blacklist makes for a fairly cheesy thriller, but in the end, a joyful one. Much of that can be attributed to Spader's incredibly enjoyable, scenery-chewing performance.